Major Wave 3 hits highs, should we be worried about Major 4 yet? 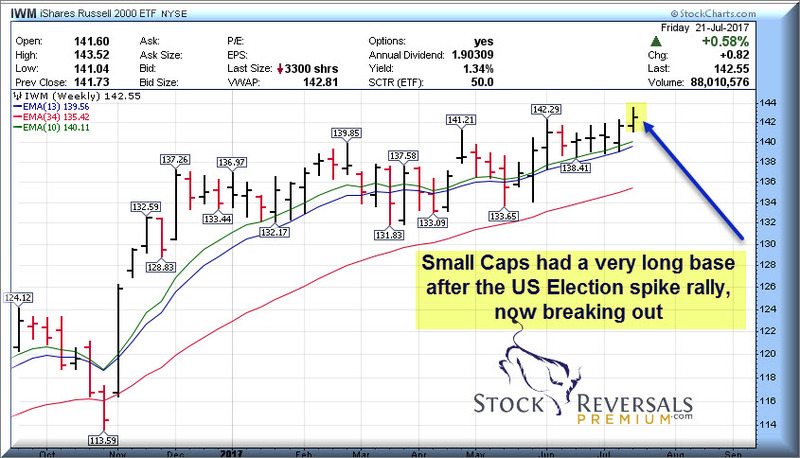 The SP 500 and other indices hit Major Wave 3 highs this past week, and we saw the SP 500 hit that 2476 “Perfect top” this past week that we had projected 3 1/2 months ago. All of this using nothing more than typical Fibonacci Wave analysis and Human Behavioral patterns. 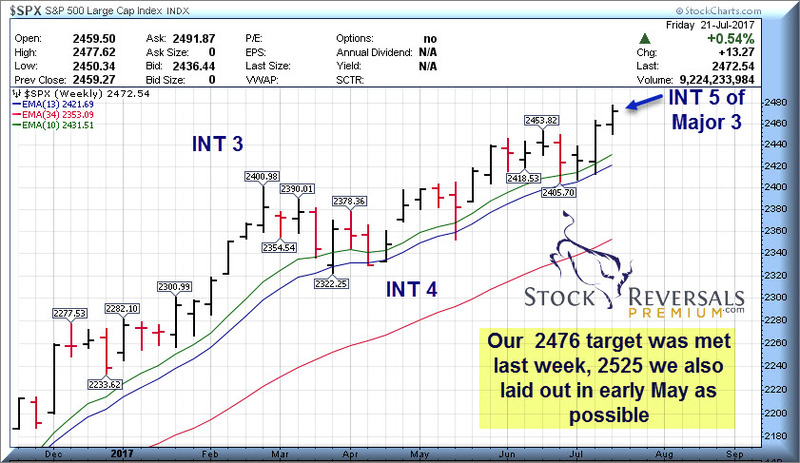 We had set up an outside shot at 2525 as the SP 500 extended target for Major Wave 3 about 2 months ago as well and so we will now track and see if the index can climb further before the Major Wave 4 corrective pattern begins. Weekly Chart Update: Major 3 is in Intermediate Wave 5 from 2327 Int Wave 4 lows. 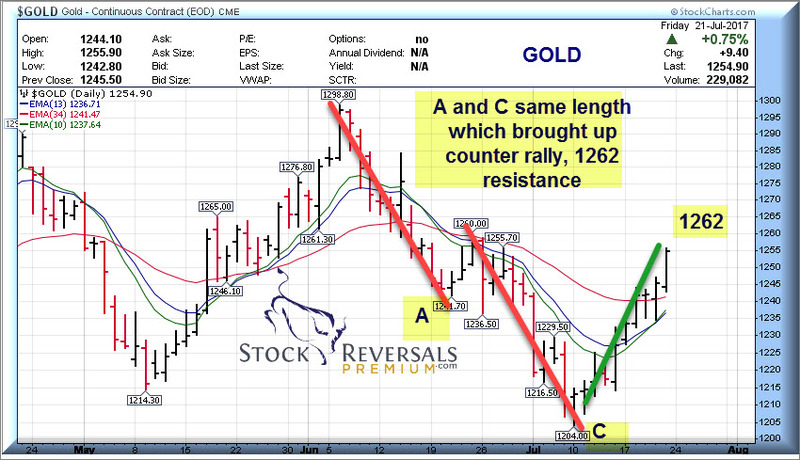 We believe this stage here is the 5th wave of that 5th wave, and if we are right be prepared for a reversal into Major Wave 4 at anytime. In the meantime, 2525 is next up. We got long LABU once again at SRP which is a 3x Bull ETF. Frequently we hit this one for 13-17% Swing Gains which only requires a 4-6% move in the underlying XBI ETF which we use for our analysis. 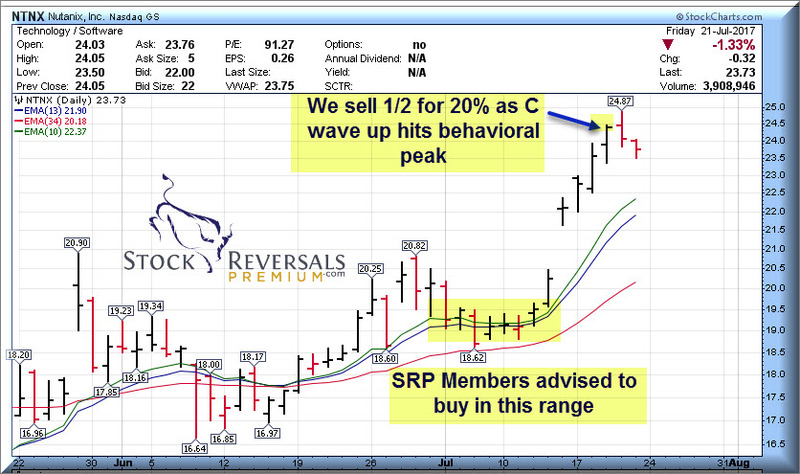 We gave SRP Members a target of $72 upon the $65 area alert, and we hit it this past week. 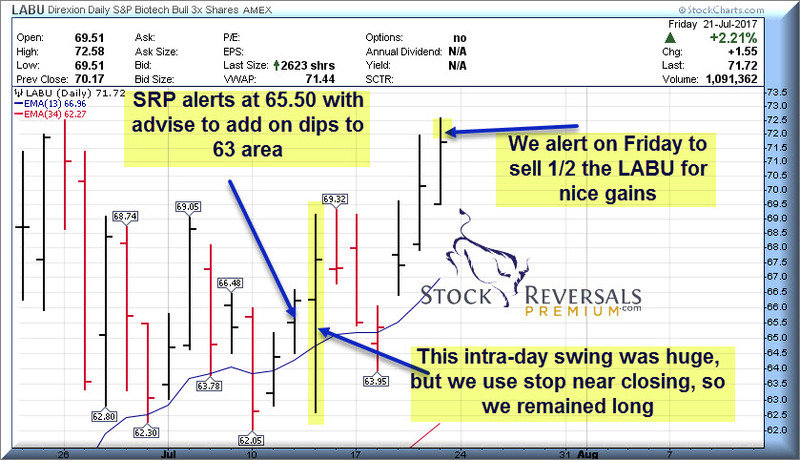 We took 1/2 the profits off the table for 9-13% gains last week and will see how the back half goes. We always like to take gains on the way up. A few weekend reports back we mentioned the NYSE Short interest was getting pretty high, and that could trigger a rally. So far so good. We note that this indicator remains bullish as short interest is at 1 year highs. Bullish Advisors have climbed back to 58% after dropping to 50% during the 4th wave of Intermediate 5. Bears have gone into hibernation, only 16% now are Bearish. This is a historically very high Bull to Bear ratio and is another warning that Major 3 can stop at anytime. This past week alone we hit on NTNX for 20% gains, LABU for 13% gains, and YY for 17% gains! 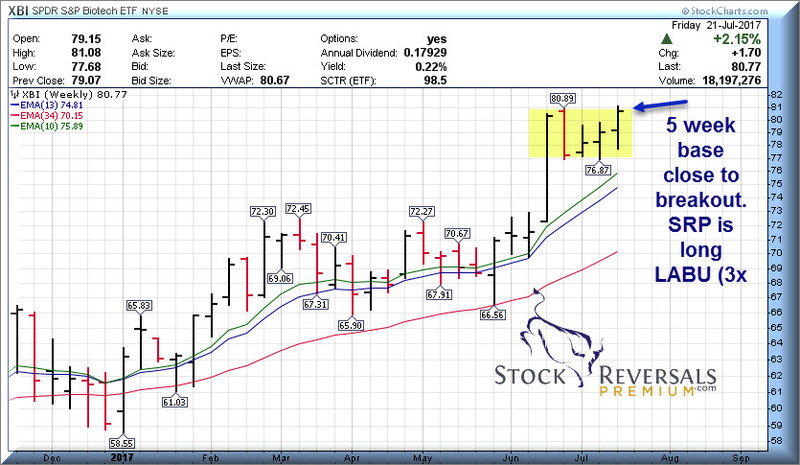 Each week we like to outline 10-18 symbols and quick notes for stocks that look bullish to us. We often work on this list to come up with actual alerts. Since we can’t alert every stock we like, this is a good place to start your study. This list usually turns up big winners in the week or weeks ahead. AAOI the most recent along with YY. MOMO- Chinese broadcasting video provider, looks close to power move.